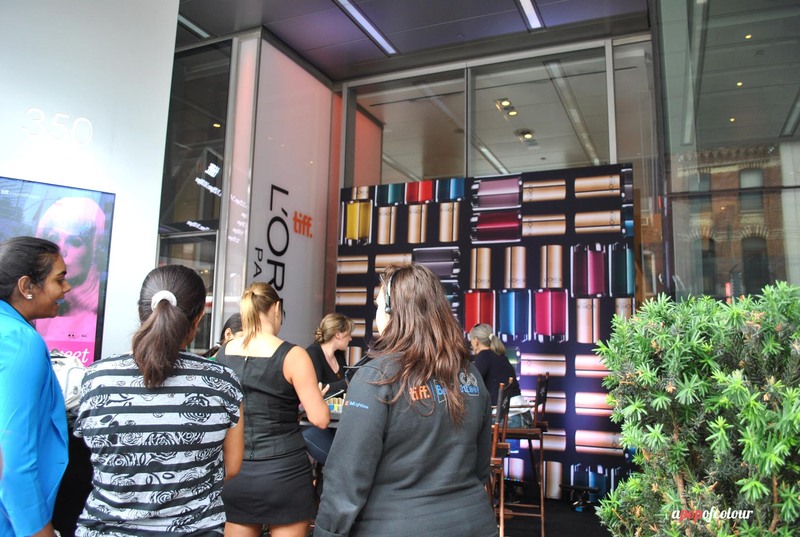 When I was in Toronto, my friend and I got to check out the L’Oreal Paris nail bar happening at the TIFF Bell Lightbox during the Luminato Festival. As part of the nail bar, there were two manicurists on hand who gave away free manicures to anyone passing by. At the end of the mani, you got to keep the colour. There were many gorgeous shades on hand but the one I chose to go with was called L’Orange, which as you can see, is a vibrant orange shade. 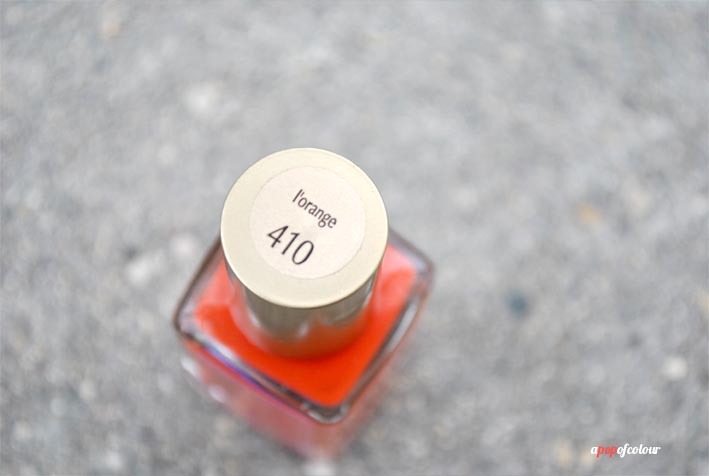 L’Orange is part of L’Oreal Paris’ Colour Riche nail line, which promises intense colours, luxurious shine, and a 10-day wear when used with the Colour Riche One Stop Base Coat and top coat. 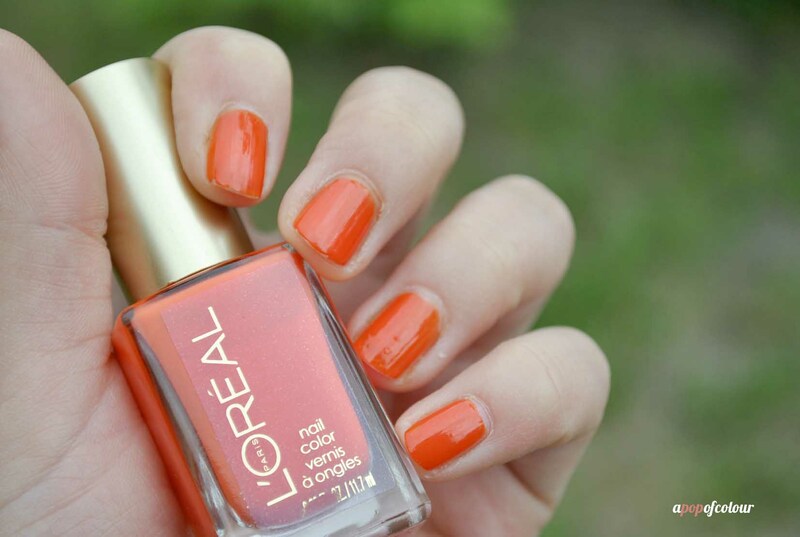 L’Orange is a beautiful vibrant colour, that really lived up to the claims as set by L’Oreal. This was seriously the longest-wearing polish I have worn in quite some time. I got the colour on Friday and finally took it off the following Thursday, six days later. There were some chips in the polish, but I could have worn the colour a few days longer, it still looked fine. The only thing I did notice was the the colour seemed more like a tomato red by the time I took it off, very weird. Overall, I love this colour and it’s perfect for summer. This is my first foray into L’Oreal Paris’ Colour Riche line and as you will see in the coming weeks, this will not be the only polish from the line I will be sporting. I’m going to have to look into the base and top coat, as I was so impressed by the staying power in this polish, and I know that those items add a huge factor into how long the polish lasted. 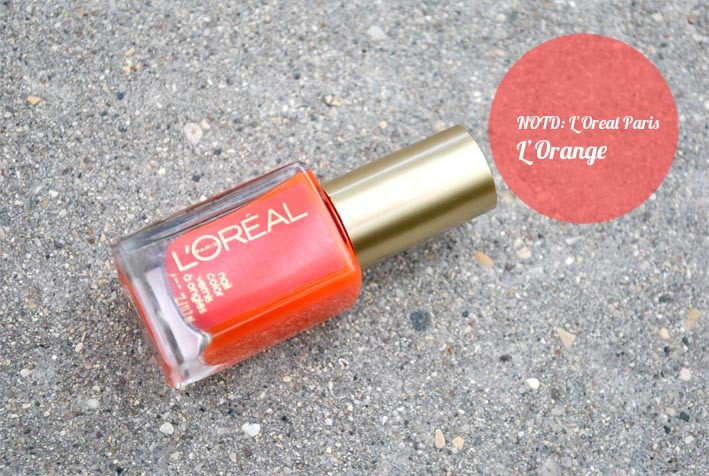 Have you tried L’Oreal Paris Colour Riche nail polish in L’Orange? NOTD: OPI Suzi’s Hungary Again!